Seeing a lot of solo drivers in these lanes. Thanks, guys. 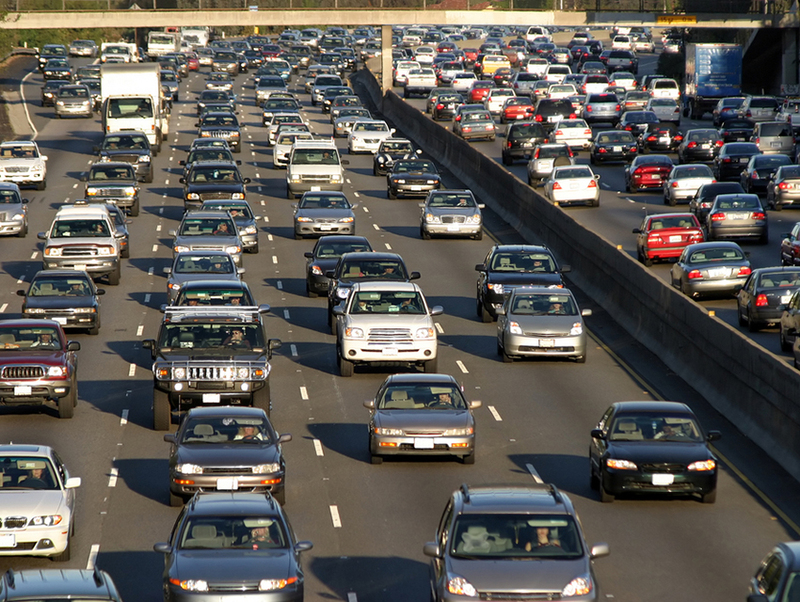 We’ve done it again—our fair city has landed the top spot in a list of the globe’s most traffic-clogged cities, with transportation number cruncher Inrix finding Angelenos burned through 104 hours of drive time during rush-hour periods last year. Inrix combed through the stats of over 1,000 cities in 38 countries—though none in fast-paced China and Japan—to draw its conclusions. Coming at the top of that list appears to be a dubious distinction for L.A., though one must consider the other cities near our position. In second place at 91 hours of drive time was Moscow, while New York took home bronze for 89 hours. Also in the top 10 were places like Paris, San Francisco, Miami, London, and Sao Paulo. At the bottom of the list was West Virginia’s third-largest city, Parkersburg, with only three hours of rush hour driving. Sensing a pattern? The global centers of commerce and culture are busy because people want to be there—or have to. Places like L.A. and London have the jobs that folks have to get to, they have the tourists piling into double-decker buses, the newbies who flood the streets for pilot season (and hopefully soon realize a TAP card or bike rental will get them to their big break quicker). Successful cities are busy, and busy cities have traffic. Of course, that doesn’t mean we would just accept our congestion as a fact of life and take no action. L.A. County voters passed two huge tax initiatives in the past eight years, which are providing billions for new subway, light rail, and bus lines. We recently launched a bike share. More people are working from home or at least dialing into their meetings a day or two a week. More changes are needed—for no clear reason, staggered hours never really became a thing. While many in the city fear development will make traffic worse, smart building could actually make it better by locating more amenities near apartments, lessening the need to hop in the car to run errands. We have perfect weather here—most of the time—who wants to be stuck in a metal cage for 104 hours a year?